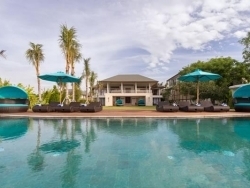 This four-bedroomed, ocean-view, luxury villa on the Pandawa Cliff Estate with elegant living areas, 17-metre pool, spa and sports centre makes a dream Bali wedding venue. This six-bedroomed, ocean-view villa, with extra-sociable living areas, 17-metre pool, spa and sports centre, makes a dream holiday choice for groups of family and friends. Situated in Bukit, this fabulous six-bedroom property is destined to become one of Bali’s most sought-after villas. 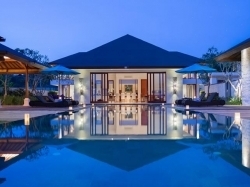 Its thoughtful design makes this villa as suitable for a grand wedding venue as it is for a special family holiday. 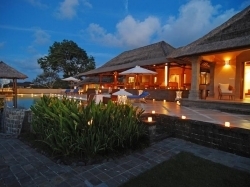 This 4 bedroom Ocean View Hideaway Villa is located at Balangan. The villa was originally constructed in 1995. In 2007 an extensive renovation project was completed. All villa facilities were completely replaced or restored to new condition. This 2 bedroom Ocean View Hideaway Villa is located at Balangan. The villa was originally constructed in 1995. In 2007 an extensive renovation project was completed. All villa facilities were completely replaced or restored to new condition. 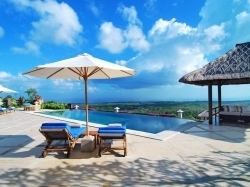 This 3 bedroom Ocean View Villa and Spa is an enchanting, secluded and close to nature Bali rental villa. 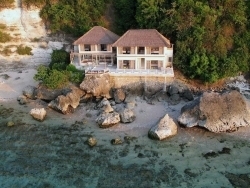 It is located in the beautiful cliff in Balangan, just over half Jimbaran area. 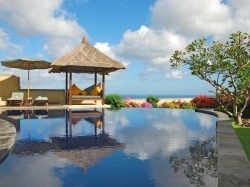 This 2 bedroom Ocean View Villa and Spa is an enchanting, secluded and close to nature Bali rental villa. It is located in the beautiful cliff in Balangan, just over half Jimbaran area. 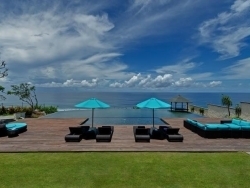 This luxurious beachfront 6 bedroom villa is located in Uluwatu Padang Padang beach. It is the most famous spot for surfers and ocean lovers. 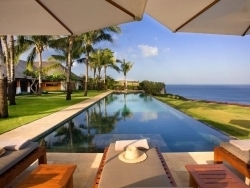 The villa is a stunningly 4-bedroom villa located in Uluwatu, The Bukit area. Perched above a steep sided river gorge, and featuring an abundance of glass walls and windows to maximize the spectacular 360 degree view of forest, the sea and the mountains. 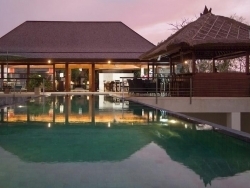 This 7 bedroom villa resides on a southwestern tip of Bali, Indonesia, in an area named The Bukit. This five suite estate overlooks white sand beaches and a lagoon abundant with sea life and coral, and at night, magical sunsets. The villa is a completely private 1 bedroom villa attached to the main property and built as a honeymoon suite. Romantic candlelit dinners for two are a specialty of this honey moon villa. The villa is a peaceful 4 bedrooms. Complete with a private swimming pools and a spa, it is operated along the lines of an intimate boutique hotel, and rests in a spectacular location upon ‘The Bukit’. The villa is a peaceful 4 + 1 kid’s room can sleep up to 8 adults and 4 kids. Complete with a private swimming pools and a spa, it is operated along the lines of an intimate boutique hotel, and rests in a spectacular location upon ‘The Bukit’.